Intercon Solid Oak Server Rustic Traditions INRT4248TB. 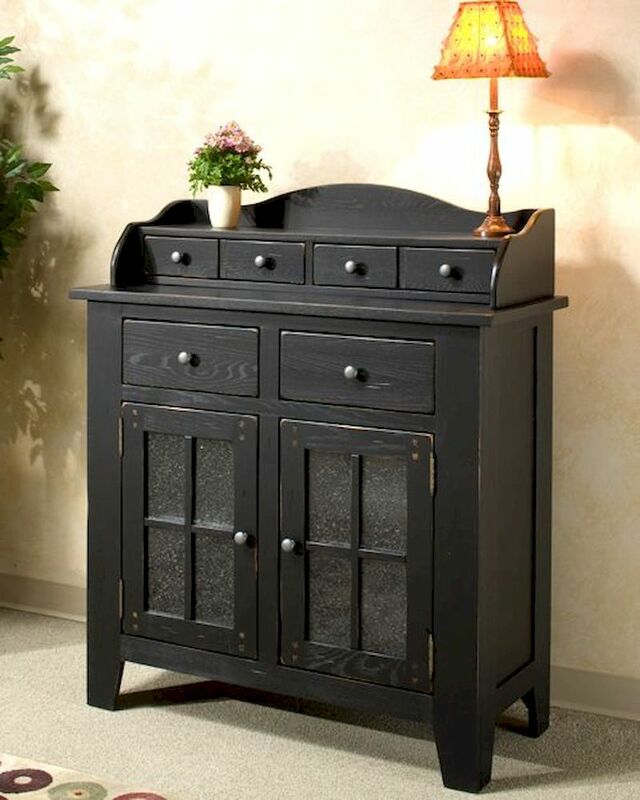 The Rustic Traditions Server From Intercon Is Made From Solid Oak and Oak Veneer And Finished In Distressed Black. 1 x Server Base IN-RT-CA-4248-BLK-BSE. 1 x Server Top IN-RT-CA-4248-BLK-TOP. Server Base- 43"W x 18"D x 40"H.
Server Top - 40"W x 13.5"D x 10"H.
All hand distressing with Rustic stain and durable lacquer finish. English dovetailing on all drawers. Antique style "bubble" glass doors on cabinets. Antique metal handle pulls on all drawers and doors.